1. Prada’s FW14 collection for Milan Fashion Week was definitely our favorite. 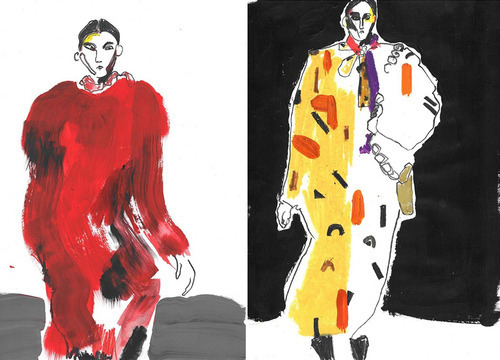 Illustrator Helen Bullock creates elegant, yet raw images that evoke the cinematic beauty of Miuccia Prada’s Rainer Werner Fassbinder inspired runway.